First seen at Eurobike 2017, the Wahoo KICKR CLIMB Gradient Simulator is about to start shipping soon. Here is a hands-on video explaining what’s in the box, how to assemble, and how the ride experience shakes out. Everything you need to know to get rolling up and down on this first-of-a-kind product on the market! Here is a preview video from Eurobike, which discusses compatibility details. 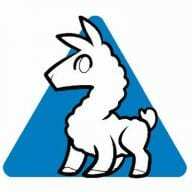 aka GPLama. Husband. Internetwork technology expert. Cyclist. Traveller. Bone breaker. Llama enthusiast. Shane has been creating online content for years with race reports, rides, travel, everything Australia. Now days it's mostly bikes and technology as there's been a huge convergence of the two. On the road Shane has won 15 National age group championship titles and 29 State age group championship titles. And if he was to stop breaking indoor trainers, his collection of those would match those numbers too. Great detailed review Shane and thanks for taking time to do it. Take Care. Wahoo Kickr Climb Zwift “Trainer Difficulty” hack / workaround / SOLUTION!! The Wahoo Kickr Climb at first blush does not have much adjustability of operation because of the way it receives signals from the Kickr trainer. 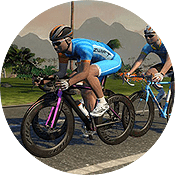 This poses a problem for anyone who has their training difficulty setting at less than 100% which is the majority of Zwifters – especially those who race. The slope the Climb produces is identical to the slope in game multiplied by the “trainer difficulty setting”. Therefore, if you have the slider at 50% then you the climb will only move to 5% when on a 10% grade in game. 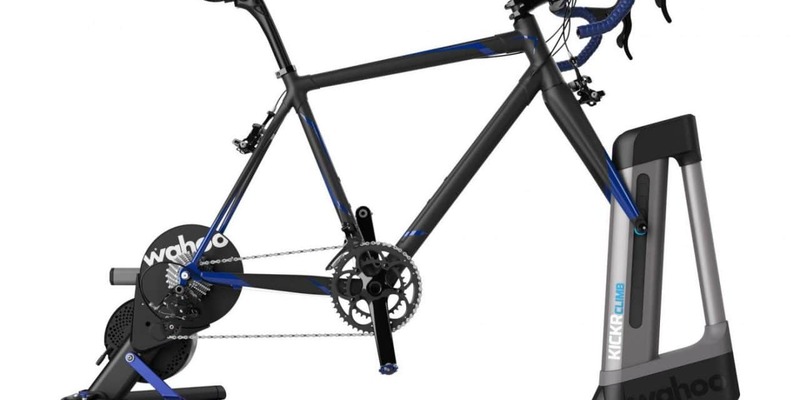 The reason most riders have the difficulty set lower is to reduce the frequency / necessity of shifting and also to not spin out / be able to provide power on descents. Most racers I know compete with their trainer difficulty settings in the range of 10% to 20%. So when running difficulty at 10% the Climb would got to 0.3% on a 3.0% grade and only 2.0% on a 20.0% grade. There is no reason in racing or otherwise that I can think of that a user would want the Climb to not simulate the actual slope regardless of trainer difficulty. For me the two biggest selling points of the Climb are the correct ergonomic simulation of body and bike position on gradients and increased immersiveness of the simulation. The solution: WHEELBASE!! In the Wahoo fitness APP under the Kickr comfiguration (once you have paired your Climb) there is a field for you to enter your wheelbase. A bike with a shorter wheelbase will require slightly less travel from the Climb to produce the same slope than a longer bike. Thankfully the engineers/coders did not limit the range for this field! Therefore it can be used as the “correct for trainer difficulty multiplier” and wheelbase simultaneously. This makes me VERY happy! Although the slider in Zwift settings makes this setting seem analog, you can see (and alter) the exact number for this setting in the “prefs” xml file in your documents/Zwift folder. I’m not sure where this files is located on non-PC systems. In the xml file the line is . If you have only adjusted the slider in game you are likely to find the line with a numerical value like this: 0.48656234. This was with setting the slider roughly in the middle – hence the number is close to .5 though not exact. You can edit the number in the file (it will move the slider automatically in the settings) and keep this number until you touch the slider in game or edit the prefs file again. What if you then use grand road tours or TrainerRoad – do you change the wheelbase back to 1000 on the wahoo fitness app ?